Bluefield bed and breakfast travel guide for romantic, historic and adventure b&b's. 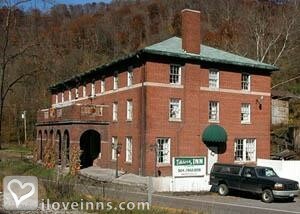 Browse through the iLoveInns.com database of Bluefield, West Virginia bed and breakfasts and country inns to find detailed listings that include room rates, special deals and area activities. You can click on the 'check rates and availability' button to contact the innkeeper. A city in Mercer County in West Virginia, Bluefield is one of the most amazing places in the state with mountains and springs in an atmosphere of a small town. Stay in any of the Bluefield bed and breakfast inns and enjoy the views. The East River Mountain Overlook offers some of the most breathtaking views of the whole area any time of the year. Every year, the Bluefield Coal show is always something to look forward to and has now been considered the best show of its kind in the country. One interesting trivia about Bluefield is that lemonade is distributed among the populace when the local temperature reaches more than 90 degrees. By Dian-lee House Bed & Breakfast. Bluefield, "nature's air-conditioned city" is located in Mercer County in the state of West Virginia. Because of its mountain coolness, those who wish to escape city life will enjoy staying in a Bluefield bed and breakfast inn. The city's top attraction when it comes to leisure and recreation is the Tony Lotitio City Park, made famous by the annual Holiday of Lights, which is an event participated in by almost all residents. Bluefield is home to a number of performing arts schools and centers. These include Blue Mountain Performing Arts Series and the Bluefield Area Arts Center. Soccer is quite popular in the city which is why the East River Soccer Complex was built. By Dian-lee House Bed & Breakfast.